We don’t know how we ended up visiting Ipoh.. It was just a city on the way connecting Kuala Lumpur to Penang and probably in a 15 days holiday we would have skipped it. But we are full time travelers now so we have time to discover also little villages and Ipoh was definitely a good choice. 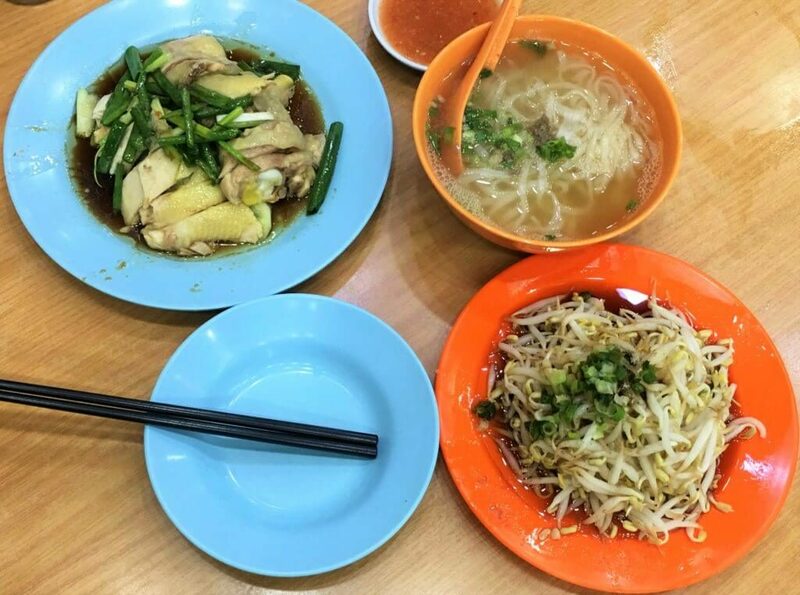 Here are the 5 reasons why you should visit Ipoh while travelling in Malaysia. When you arrive at the main bus station, Ipoh doesn’t look like a great place to visit. It is located outside the city center and there’s a bus connecting to downtown Ipoh every hour till 9pm. Even when you reach the city center, the situation doesn’t seem to get any better. 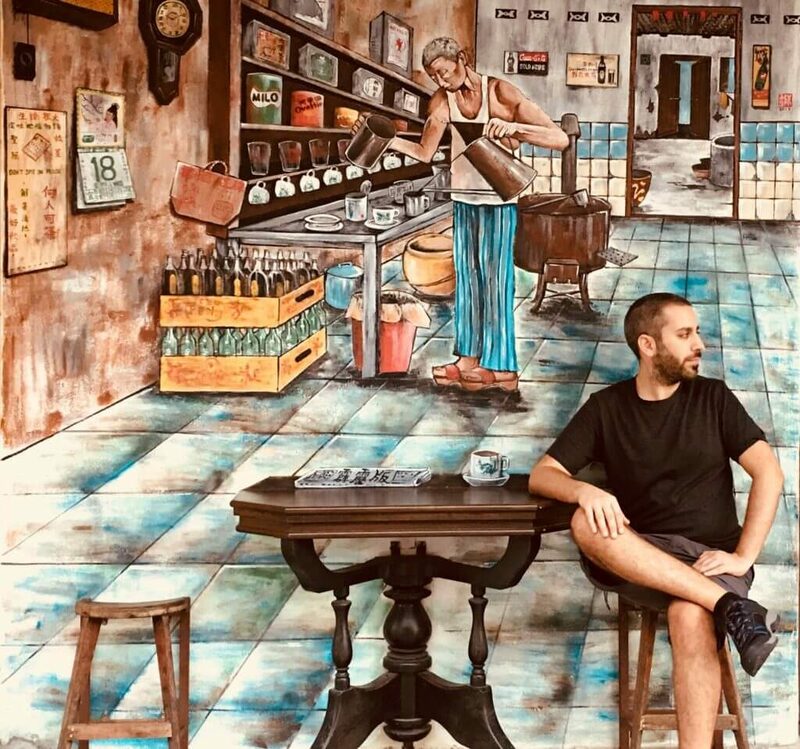 Is it really worth visiting Ipoh? The answer is yes, but it takes a bit of time to find it out. 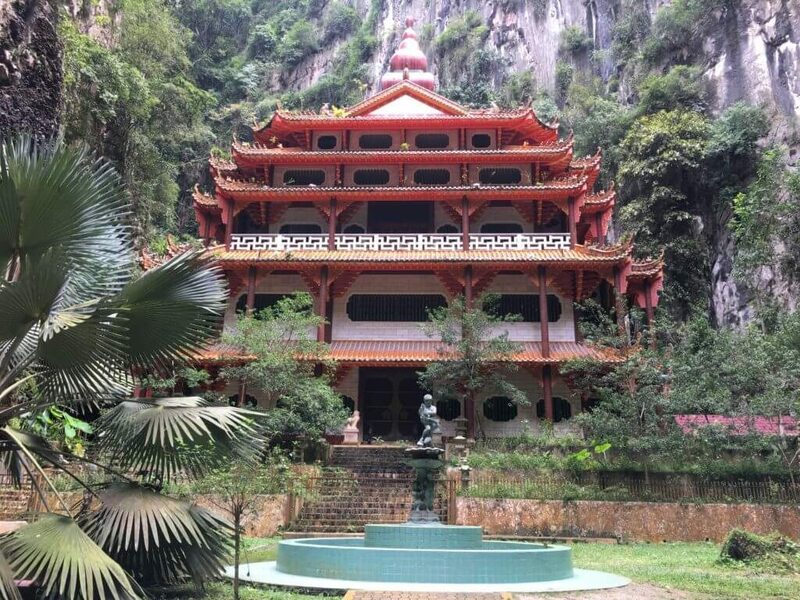 Ipoh is famous for the 3 temples built in the caves just few kilometers outside the city center. Unfortunatlely it’s impossible to reach those temples with public transports. The best way to get there is by taxi or UBER/GRAB. There is one temple north of the town –Perak Tong Temple – and 2 going south Kek Lok Tong Temple and Sam Poh Tong Temple. Those chinese buddhist temples are built insde caves and decorated with Buddhas statue. Each one of them deserves a visit but if you don’t have enough time, we suggest you to go to the Sam Poh Tong Temple. Inside the temple you’ll discover an hidden garden with hundreds of turtles and a stunning building where a monk used to live. After 7pm the old town’s street, that are so quite during the day, lights up and get crowded. Hundreds of stalls selling bags, clothes, shoes.. occupy the streets. Even if you are tired, you should explore the area because you’ll find also stalls were you can get a massage. We think that 2 days are enough to enjoy Ipoh’s atmosphere. 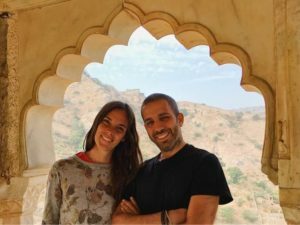 One day to dedicate to the street art and the colonial buildings and one day for the caves temples. There are many direct busses from Kuala Lumpur TBS to Ipoh. The ticket is 20 RM for a 3 hours journey. The bus arrives at Amanjaya station, few kilometers from old town Ipoh. From there, every hour from 7am to 9 pm, there’s a bus directed to the other bus station in the center of the town.